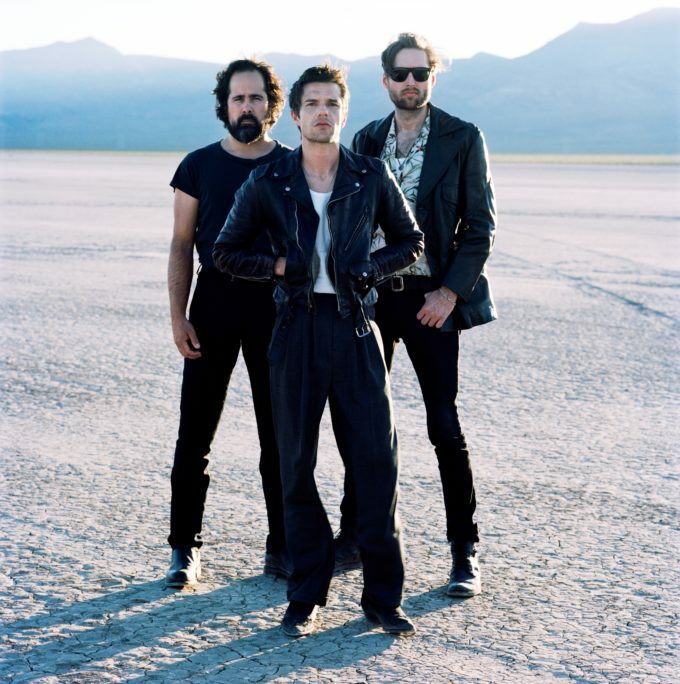 Weeks before their impending appearance the AFL Grand Final, The Killers have confirmed they’ll tour Australia in late April. Brandon and the lads will play shows in Sydney, Melbourne, Brisbane and Perth on what Frontier is calling their biggest tour of Australia and New Zealand. After playing Auckland, Wellington and Christchurch over the ditch, the boys will kick off their local duties at the Brisbane Entertainment Centre on April 27. They’ll be playing tracks from their new album ‘Wonderful Wonderful’, which is due for release next Friday, along with tracks from throughout their bulging back catalogue. Frontier members get access to an exclusive pre-sale from Wednesday September 27, while the general public will be able to nab tickets from Tuesday October 03, albeit at different times (Sydney and Brisbane from 1pm local time, Melbourne from 3pm local time and Perth from 1pm local time). No mention of extra shows at the moment, but looking at the schedule, there are little gaps where second gigs in Sydney and Melbourne could be scheduled. It depends on whether there’s enough demand for them or not.